Healthy Ride ambassadors tabling. Source: Healthy Ride Pittsburgh. 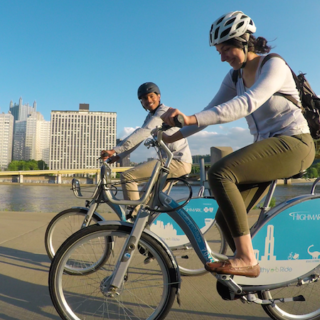 The #RideWithUsPgh campaign out of Pittsburgh’s bike share system showcases local riders who each love biking, each for their own reasons. 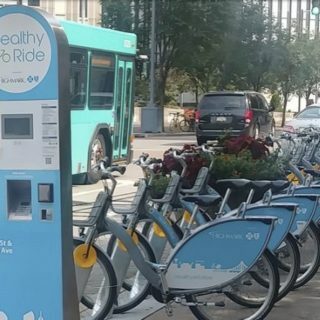 Take La’vette Wagner for example, who is one of the community ambassadors for the Healthy Ride system, and has spent her whole life in the city. 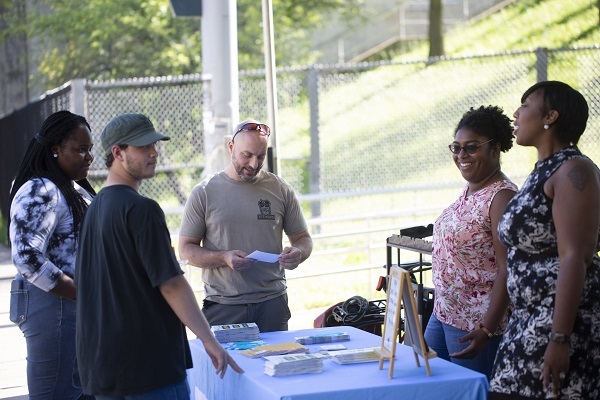 She loves to bike to get a better view of local neighborhoods and for the community connections she builds in the process. >Read more about La’vette here. Mercedes Howze is another ambassador who also has a long history in Pittsburgh. She taught herself how to ride a bike earlier this year, and sought out the ambassador program to improve her confidence with cycling. >Read more about Mercedes here. 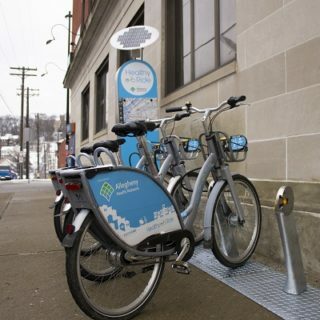 The ambassador program is just one component of Pittsburgh’s efforts to make bike share accessible to residents from a variety of communities. Another helpful key is the free 15-minutes of ride time for those with the ConnectCard regional fare pass. >Check out the Healthy Ride Pittsburgh blog for additional rider profiles.